A day to celebrate the brilliant small and unique businesses on our doorstep. Whether it’s indie retailers on our High Streets or local artists and makers through their Etsy shops, small is beautiful. On 8 November, the Pavilion at the Park was selected as one of this year’s #SmallBiz100 – one of a hundred businesses showcased in the 100 days leading up to today. Innovation is at the heart of many small businesses and Pavilion at the Park is no exception. 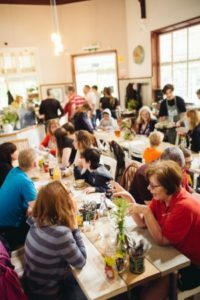 From supper clubs to outdoor theatre, book clubs to craft groups, owner Emma Garrett is always seeking to add value and enhance the customer experience. Throughout today, head over to Instagram to see some exclusive behind-the-scenes pix on their stories. 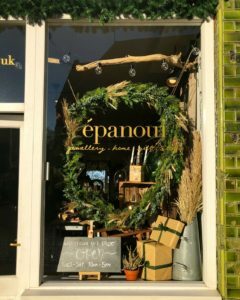 It’s beginning to look a lot like Christmas at epanoui! 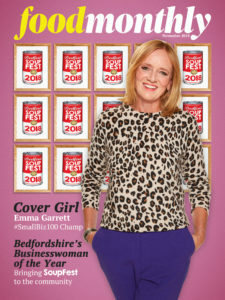 At Epanoui, Boyd’s of Bedford, Rogan’s Books, Herd, Slide Records, GCH Fishmongers, Secret Garden, Ready Steady Roll and Gallone’s – among others – in-store events and workshops all add something extra to a shopping trip. But the real USP of small businesses is customer service. Run by people with a passion for their profession, their product knowledge and enthusiasm is often infectious. It’s something that cannot be replicated by Amazon and its what is at the heart of the High Street. Shop small and shop local today.